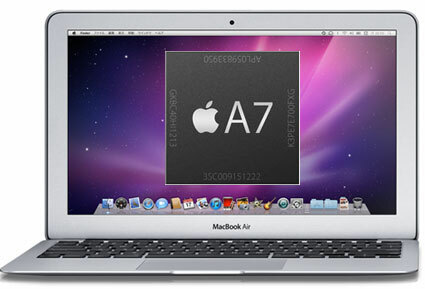 French site MacBidouille revives rumors that Apple is actively developing ARM processor based Macs. According to a source that they describe as reliable, Apple has prototypes of several ARM-based machines, including an iMac, Mac mini, and 13″ Notebook with 4-8 64-bit ARM Quad-core processors. MacBidouille isn’t a frequent source of rumors, so its hard to gauge its source’s credibility, but rumors of ARM-based Macs have been circulating for years. It seems likely that Apple has prototyped such devices, but many have doubted the feasibility of moving forward with such a plan. The first inklings of such a plan might have come when Apple threatened to abandon Intel’s chips if they didn’t work to slash power consumption. While AMD might have been one way to go for Apple, the first rumors of an Apple migration from Intel to ARM processors appeared earlier that year. Later, a report claimed that Apple already had an ARM (A5) powered MacBook Air in their labs back in 2011. An analysis in 2012 suggested that Apple shifting from Intel to ARM wasn’t implausible but it faced several hurdles. The most significant one was Apple’s own ARM chips being able to keep a pace with Intel’s future roadmap. Apple, however, has been making great strides in performance in their ARM processors. The A7 is described as desktop class even in an independent analysis. In fact, the A7 chip is currently being underutilized in Apple’s iPhone and iPad devices, leaving some of its power untapped.